The apolipoprotein E4 allele (APOE4) contributes to Alzheimer’s disease (AD) risk and APOE2 is protective, but the relevant cellular mechanisms are unknown. 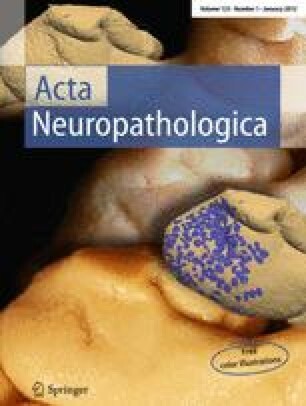 We have used flow cytometry analysis to measure apolipoprotein E (apoE) and amyloid beta peptide (Aβ) levels in large populations of synaptic terminals from AD and aged cognitively normal controls, and demonstrate that modest but significant increases in soluble apoE levels accompany elevated Aβ in AD cortical synapses and in an APP/PS1 rat model of AD. Dual labeling experiments document co-localization of apoE and Aβ in individual synapses with concentration of Aβ in a small population of apoE-positive synapses in both AD and controls. Consistent with a clearance role, the apoE level was higher in Aβ-positive synapses in control cases. In aged targeted replacement mice expressing human apoE, apoE2/4 synaptic terminals demonstrated the highest level of apoE and the lowest level of Aβ compared to apoE3/3 and apoE4/4 lines. In apoE2/4 terminals, the pattern of immunolabeling for apoE and Aβ closely resembled the pattern in human control cases, and elevated apoE was accompanied by elevated free cholesterol in apoE2/4 synaptic terminals. These results are consistent with a role for APOE in Aβ clearance in AD synapses, and suggest that optimal lipidation of apoE2 compared to E3 and E4 makes an important contribution to Aβ clearance and synaptic function. S. Arold and P. Sullivan contributed equally to this work. The online version of this article (doi: 10.1007/s00401-011-0892-1) contains supplementary material, which is available to authorized users. This work was supported by NIH AG27465 to KHG, by NIH NS43946 to GMC, by NIA AG18879 to CAM. HVV is supported by the Daljit S. and Elaine Sarkaria Chair in Diagnostic Medicine. Tissue was obtained from the the Alzheimer’s Disease Research Center Neuropathology Cores of USC (NIA 050 AG05142), UCLA (NIA P50 AG 16970), and UC Irvine (NIA P50 AG016573). Flow cytometry was performed in the UCLA Jonsson Comprehensive Cancer Center (JCCC) and Center for AIDS Research Flow Cytometry Core Facility supported by NIH CA16042 and AI 28697, and by the JCCC, the UCLA AIDS Institute, the David Geffen School of Medicine and the Chancellor’s Office at UCLA. ET is supported by K08 AG-34628 (jointly sponsored by NIA, AFAR, the John A. Hartford Foundation and the Atlantic Philanthropies, the Starr Foundation, and an anonymous donor).